Coordinating Exterior Home Elements: Match or Contrast? Every homeowner who’s had a hand in choosing their exterior color palette has considered at some point whether their exterior colors should match or contrast. 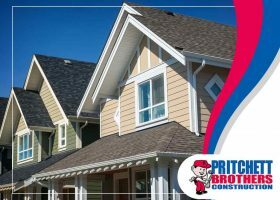 As your home improvement expert in Bloomington, Pritchett Bros shares how you can coordinate your exterior color palette.